The booking process is organised by The University of Integrated Science, California, which accredits this course and hosts the video classes. The cost for a subscription to the six-part series is 120 US dollars which can be paid by credit card. Your initial subscription lasts for six months – which means you can watch and repeat the video classes any time you like during that period. After that you can subscribe again at a reduced price to view the video classes again. http://www.uisca.org/ is the web address for registration, course booking and watching the videos. 1.1 Click on the ‘Register’ button at the top right of the screen. Then click on the Login/Register link at the top right when prompted. 3.1 Click on ‘UISCA Online’ in the top navigation bar. 3.4 Click on the link ‘CLICK to see the Entire VBT Course Offering’ and then click on the blue folder to see a listing of all the videos, resource files etc. The first few items which relate to the free Introductory Video can be accessed freely – place your cursor over the title and a clickable link will appear. Later items can be accessed only by purchasing the course subscription. Check that your internet broadband speed is high enough to watch the videos by playing the Introductory Video. Click on the Back button to return to the purchase page. 3.11 Enter your Time Zone. 3.17 Click ‘Send’ and wait until processed. You should now have access to your course and you should receive a message to say that your transaction has been successful and which provides a link to access your course. Congratulations! 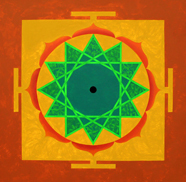 4.2 Select the Vigyan Bhairav Tantra course.